President Trump’s aluminum and steel tariff proposal took policy makers and businesses by surprise. The impacts of tariffs will ripple through the broader economy, resulting in consequences for many states and industries even if they are not directly affected. REMI cordially invites you to our webinar on Tuesday, April 10th, 2018 from 2 to 3 p.m. EST when REMI CEO and Chief Economist Frederick Treyz, Ph.D. will review the economic debate over tariffs and discuss how dynamic economic modeling can be used to assess pros and cons of trade policies. 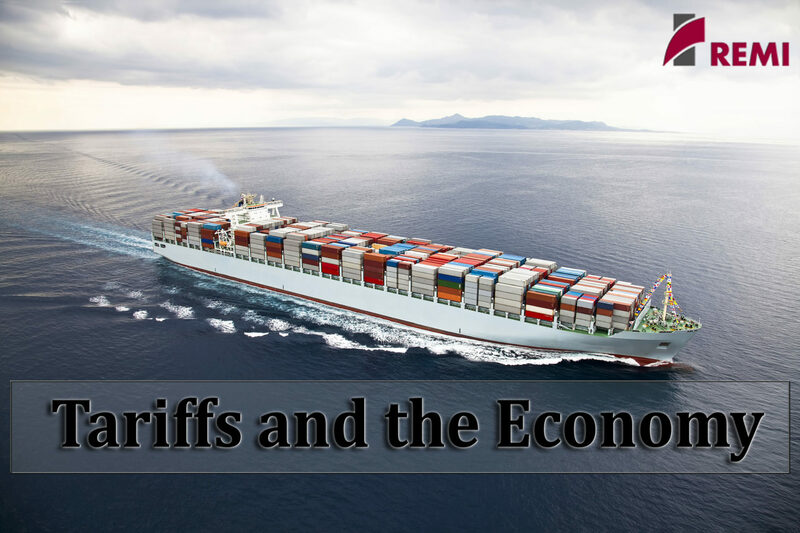 For his presentation, Dr. Treyz will outline a report by NERA Economic Consulting that analyzed the impacts of possible across-the-board tariffs on aluminum imports using the REMI model. The analysis shows the potential effects from a 7 percent tariff on government revenue, income, output, and total employment. Dr. Treyz will also describe the methodologies used to evaluate the policy, and consider different approaches for evaluating tariffs.